I’ve been living in Suzhou, China for a few years for work. As a classics collector and something of an atm, I’ve had my hobbyist interests severely curtailed here. 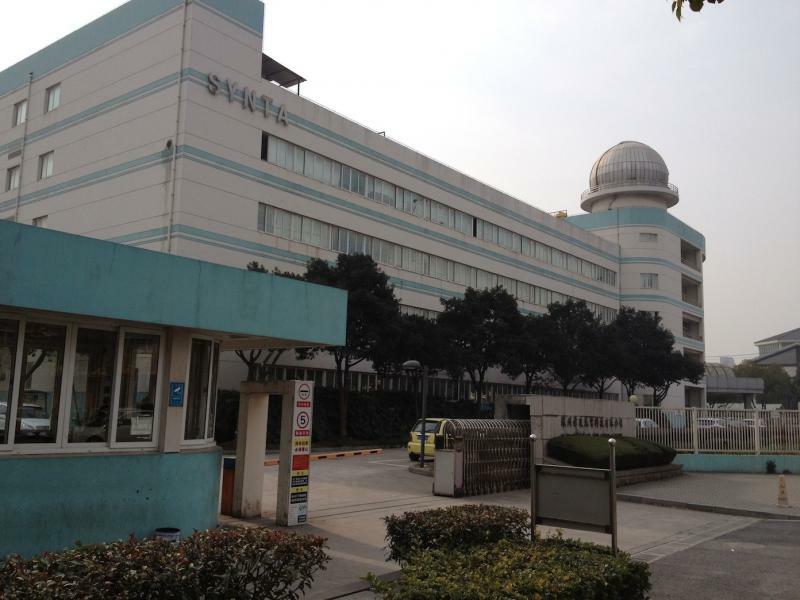 Interestingly, on the other side of town from where I live is Suzhou Synta. I haven’t been in-but here is an exterior of the main building along the street. Synta has 3 or four other buildings on the site. While scopes are made here-you can’t buy them locally. Only online. To keep up (at least a little) with some scope building I brought along with me to China some Jaegers lenses from Surplus Shed. I brought a 4inch F15 and a 6inch F10 (both were seconds and bought on sale). I also brought some flats with the idea of making folded refractors-but this proved too difficult to do with the tools I could easily get together here. A basic 2inch focuser from Meridian and a selection of eyepieces and a bino-viewer made up the rest of my imports to China. I’ll post some photos of the refractor builds using these Jaegers lenses. The builds are pretty basic. The more interesting part was experimenting with these classic lenses to get some idea of their quality, and working to get them to perform their best, again with very cheap, basic materials. 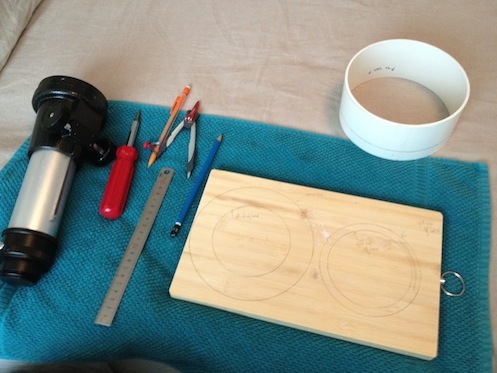 As an architect I am generally pretty fussy with materials and craftsmanship. These scopes were liberating for me-allowing me to focus on the optics. 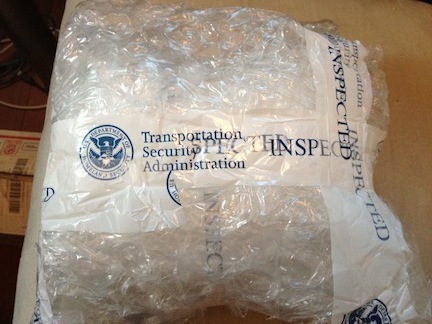 TSA was way too interested in these pieces of glass. They nicely unwrapped everything, fingered them up well, and then gave me some snazzy TSA tape to keep. Being illiterate, I find shopping for scope making parts challenging. 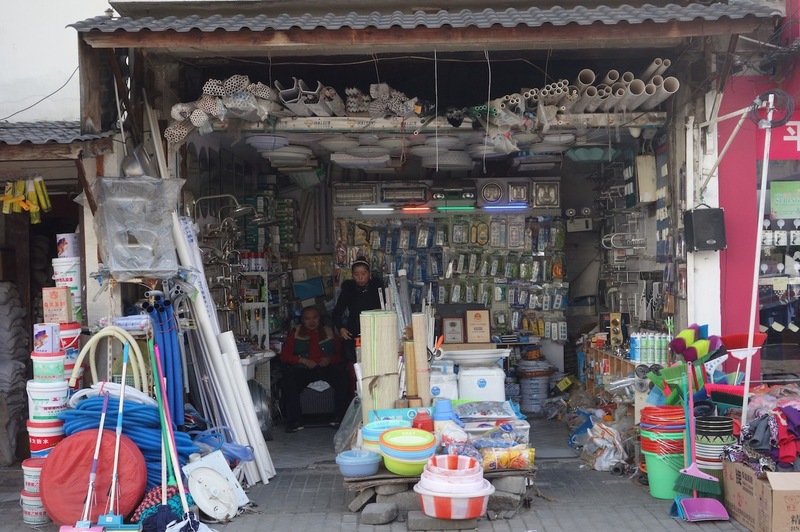 Do-it-yourself home stores aren’t really a thing here. What there is are little local shops with some basics. Built my 6"F10 as a stop gap until my D&G 6" F12 was done. The lens proved to have a very good figure and Barry was way behind due to moving and other production issues. So I recently canceled my D&G F12 after a 3 year wait. I am very fond D&G scopes and like Barry, but I realize these lenses are a side hustle for him. Had two 5" F12's from him and both were superb. When I first used the Jaegers, I expected the 5" F12 D&G would easily outperform the 6" F10.. Uhhh Nope. the 6" F10 Jaegers had the same quality of figure and produced images that were a little better due to the increased aperture. It's a lifetime keeper. Truth: Barry sorta / kinda tried to talk me out of the f/10, tried to steer me to the f/12, but I dug in due to tube length & weight (was living in a two-story townhouse at the time). His star test report to me stresses that he really worked the figure to minimize CA at that f-ratio - and I found that to be true. My uncoated Jaegers 4" f/5 is a second quality, but it excels as an RFT. Jaegers must have had some really good lens grinders, because from what I've read, their testing was very simple - especially compared to current methods. I can't find it, but I once had a first quality 83mm f/15 in the original cell that I used to evaluate my Tasco (Towa) 80x1200. The Jaegers was a cemented doublet that performed as well as the air-spaced Japanese objective. wow, very cool thread! thanks for updating us. You are living next to the Synta factory and making telescopes out of 30-year old A. Jaegers lenses, that's crazy! I think it would be cool to live in China and do architect work for a few years, what a great life experience. Is there anywhere to observe with dark skies? 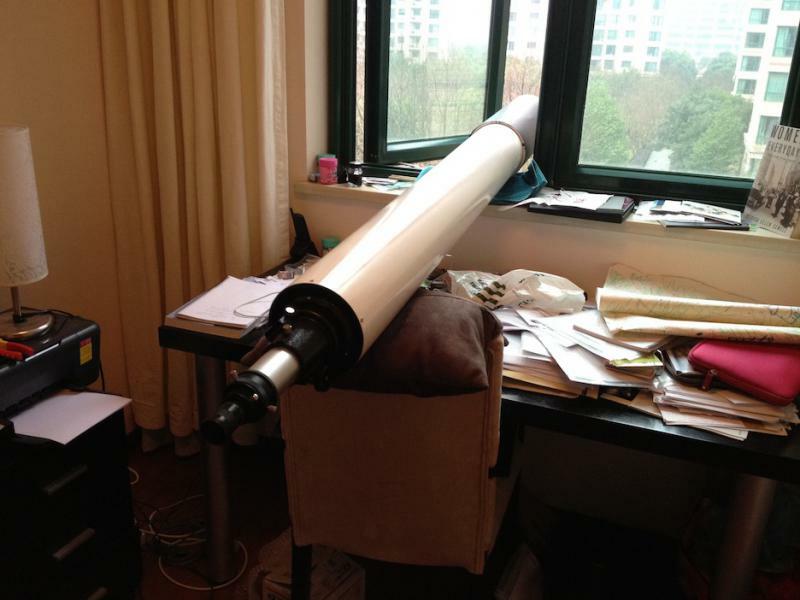 are there any other amateur astronomers or clubs around?? Thanks for the comments. Observing in Suzhou is pretty awful. Light pollution, air pollution so thick you can cut it with a knife, and just being in the river delta make for poor conditions all the time. The only plus is a few nights in late winter we get some remarkable stillness, and the moon can come through the haze pretty steady. 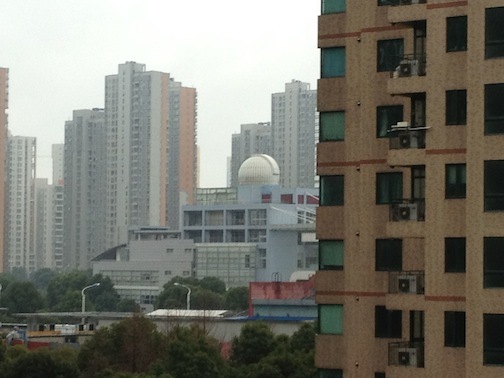 Interestingly, many high schools and universities have a dome prominently displayed on top of a main building. The high school across the street from me has one (picture attached). In 3.5 years it has never moved. A new high school nearby has a bright golden dome. I doubt it will ever move either. As with many things in China, the appearance of having something is what is important. Having it actually do something-maybe less important or not necessary. The 4 inch f/15 ended up being a Baker design with the large air space (photo). Following all the postings on CN of people working with the Jaegers lenses, I found that there was quite a range of proposals for the spacing. Not knowing what I had, I decided to just experiment and try a bunch of lens orientations and spacings. I was surprised that I could get a somewhat decent image across a wide range of setups. 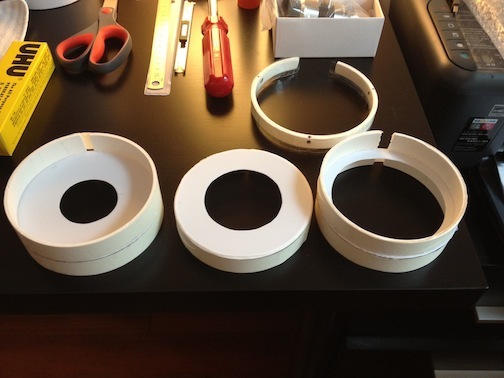 The cell for both scopes are from PVC fittings, using carefully selected and placed dimensional pieces of known size to hold the lens. The 4 inch in the cell. What not to do- use bamboo for the tube end/focuser mount. Wood can be hard to come by normally- so I thought a cutting board would give me what I needed. Swiss army knife in hand, I went to work. The result works fine, but was way too hard. I cleaned up the surfaces that needed to be exacting, and left the rest rough. Here is the 6inch being tested out the window. PVC paints up pretty well with careful sanding. The dew shield is extra long and is made from black card stock wrapped around mylar and hit with some spray paint. The dome thing is interesting - we have a similar culture in boating here - everyone buys huge boats that sit at the dock all summer and never move! Great job! 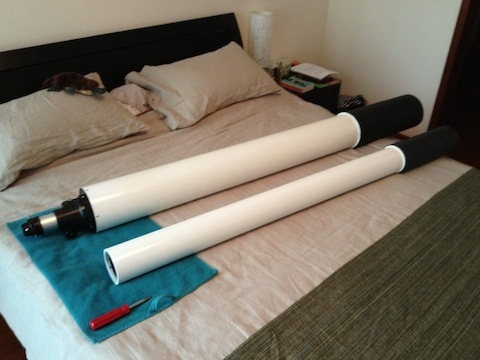 I made a short tube RFT refractor with PVC tubing and fittings and was quite pleased with the result. It's a nice material to work with. I hope you don't have problems with tube sag at the length you are using. How is the weight? Great to see your doing well ! The gang at both Stellafane and the Delmarva mirror making class all say Hi. Great job doing the ATMing. Like my tag lines states " Engineer = taking what you got and making what you need " You can use your flat to test your lens setup to find the best spacing. Normal air space on the jaegers 4" is about 0.130" that is the thickness of the provided spacer. 0.130 is about right for a Baker design. The spacing you are showing is more like a Clark design or even wider spacing. 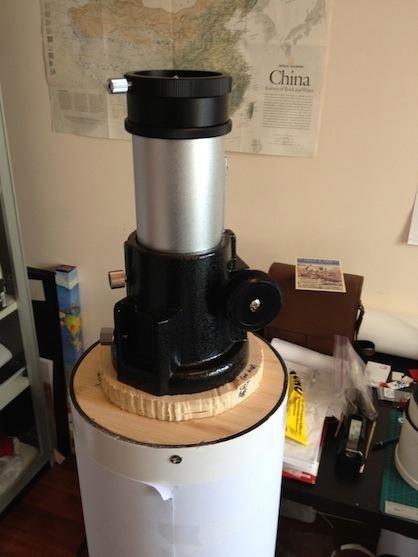 I have the Baker f/15 design entered into OSLO from the parameters listed in "Telescopes and Accessories" by Baker. The air gap thickness is 0.003110 x the focal length so for a 4" f/15 lens with 60" focal length the spacing works out to be 0.1866" or 3/16". In the Baker design R2 and R3 have the same radius with one being concave and the other convex. So you can test the concave one directly with a Foucault test to be sure it is spherical and also measure the exact radius of curvature and then it use to test the convex one by placing them in contact under monochrome light to observe the interference fringes. 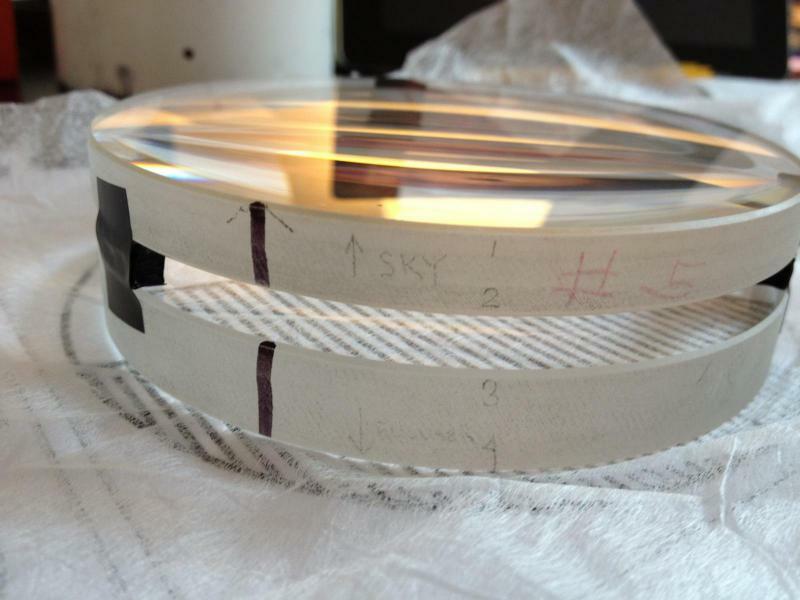 For 4" f/15 the two inner radii should be 21.509" if the glass is BSC2 and DF2. 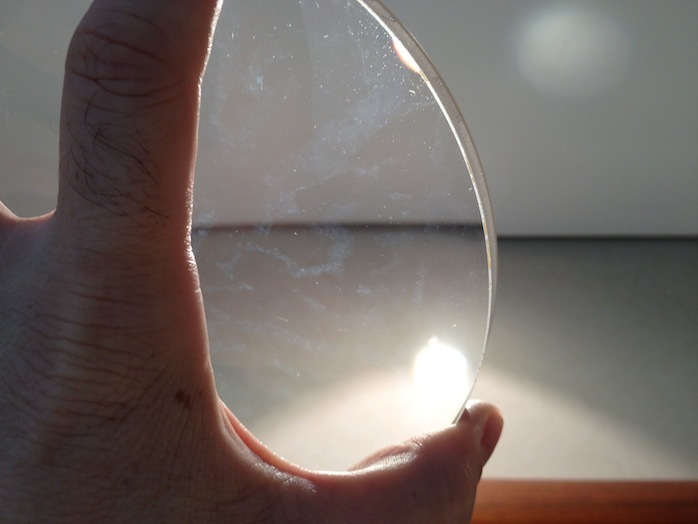 If you have an optical flat that is close to the diameter of the lens or larger then you can test the complete lens by double pass autocollimation. 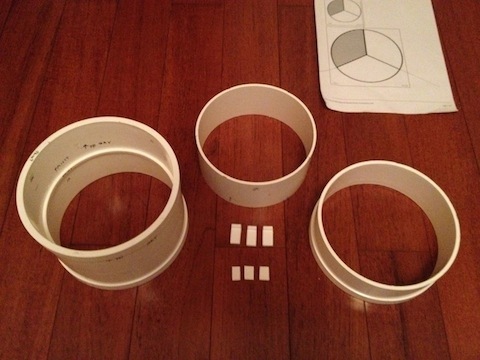 This test will quickly allow one to find the air gap that shows the best correction. Edited by DAVIDG, 10 December 2015 - 05:31 PM. The spacer is 0.185 on the 4" The 3" is 0.135. 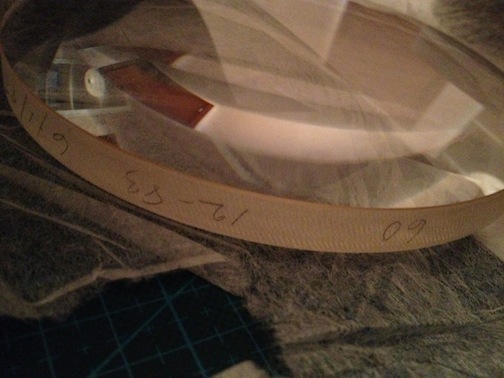 Measured the 3" F15 lens spacer I have. My notes indicate 0.185 for the 4" F15. So Baker it is. 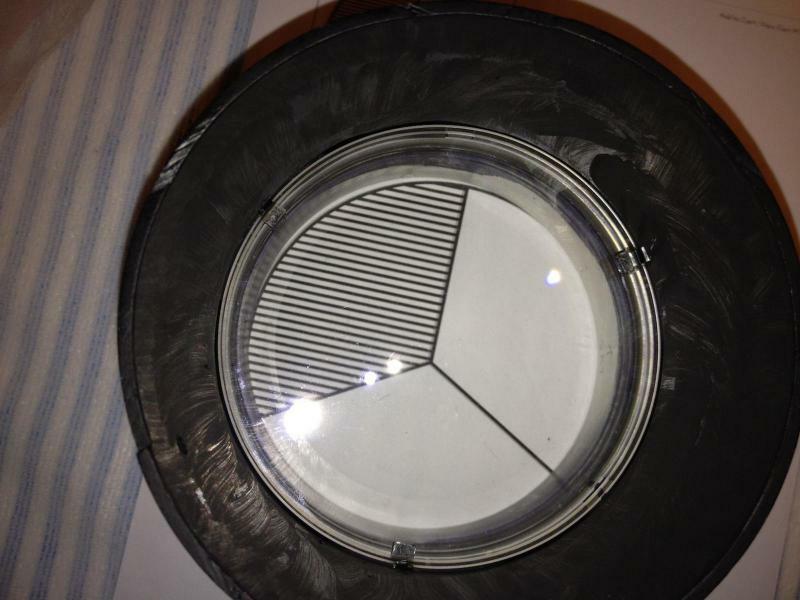 The 6" lenses are Fraunhofer doublets.